Proof That Your Body is A Universe by A Planetary Unity Grid Activator! Likewise, Earth’s connection to the sun and to our solar system is one of the most important connections our planet has. Our sun’s connection to the galaxy is one of the most important connections our solar system has. Our galaxy’s connection to The Universe, and beyond, is one of the most important connections our galaxy has. The connection of Our Universe with the mysteries beyond is one of the most important connections Our Universe has. All forms of life are wholly interconnected and coherent. Without this multi-level, coherent interconnectivity, nothing would exist. Yet, each entity is also a single organism. This also applies to our own bodies. 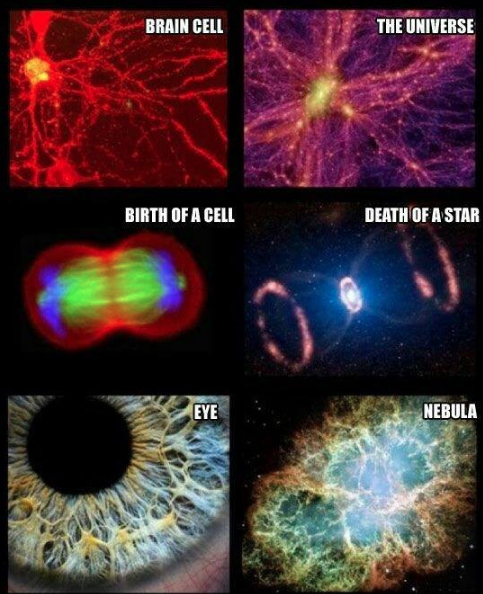 We are like the living cells in the body of the cosmos. We inhabit a living universe, reflected by the most fundamental characteristics of our body’s biology. As is the smallest, so is the greatest. Our scientists have confirmed that a single cell is a complete system, as is the brain and the entire body. Every single system is driven by feedback loops and sustained by homeostasis. It continually self-organizes. We are presiding over an entire ecology, and like planetary ecology, our body responds to all that nourishes it to maintain balance and harmony.